Give your home a chic industrial update with this coffee table. Its spacious tabletop provides you with room for magazines, mail, coasters and of course your cup of coffee. It also features a large, lower open shelf for additional storage and display. 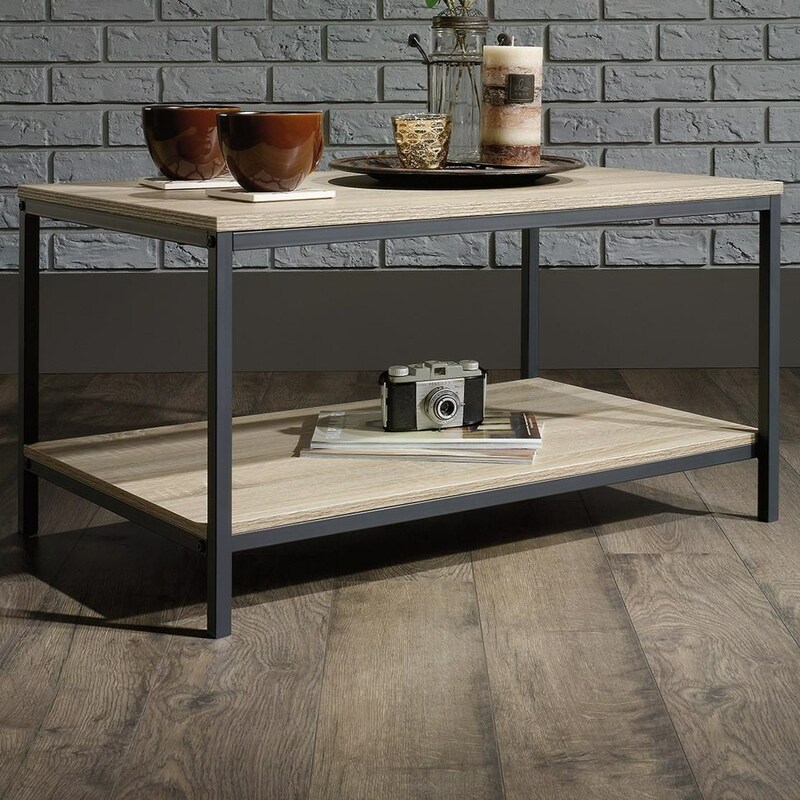 Constructed with a durable, black metal frame and finished on all surfaces in Charter Oak, this stylish coffee table will complete the look of your living room. The North Avenue Metal Coffee Table with Rustic-Look Top and Shelf by Sauder at Sam Levitz Furniture in the Tucson, Oro Valley, Marana, Vail, and Green Valley, AZ area. Product availability may vary. Contact us for the most current availability on this product. Browse other items in the North Avenue collection from Sam Levitz Furniture in the Tucson, Oro Valley, Marana, Vail, and Green Valley, AZ area.